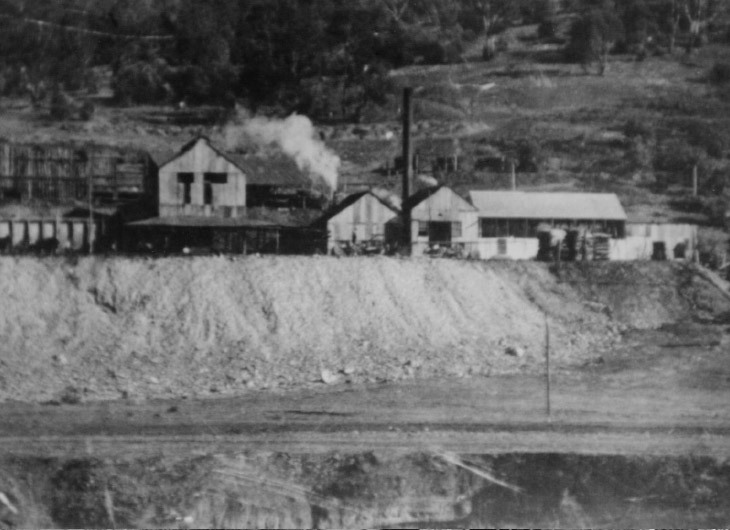 The three-year lease of the Cadia Copper Mining and Smelting Syndicate ran out in mid 1908. A new 21-year lease was signed between the Scottish Australian Mining Company Limited and the previous syndicate.under the name of the Cadia Copper Mining and Smelting Company Limited. Mr. Chilcott appears to have been mine manager at least in 1908, with. Chilcott’s Shaft (worked from 1905 to 1908) and the main street in Cadia Village named after him. By 1909, Mr. F. L. Piddington is named as the mine manager. In both 1909 and 1910 prospecting work continued at both east and West Cadia. In 1912 a new blast furnace smelting plant was installed at the cost of £6,000 (Smelter No. 3) at West Cadia, with the intention of resuming mining in 1913. The main period of production for the mine ran from 1913, with temporary closure at the beginning of the First World War in 1914, through to 1917. Low copper prices after the war prevented reopening of the mine. This photograph of Cadia Village was taken between 1912 and 1914, soon after the construction of the new water jacket furnaces. By this time Smelter No. 2, built in 1905-1906, was decommissioned and demolished apart from its brick chimney (French Collection). 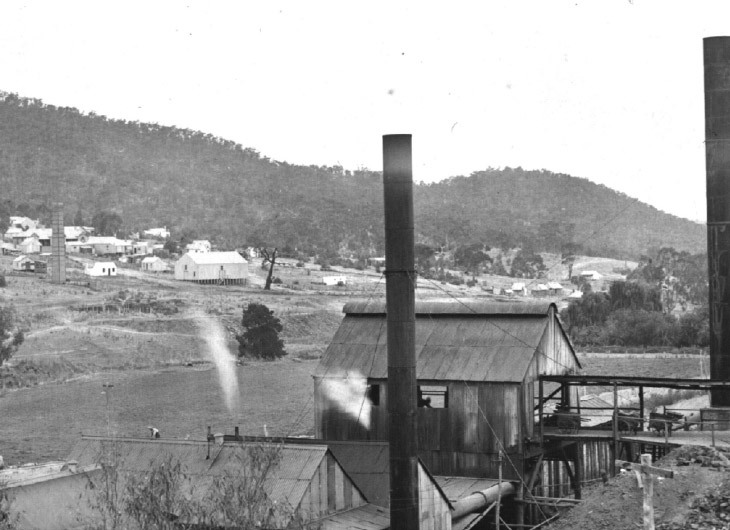 This rare photograph of the water jacket smelter was taken in c.1916 from the east side of Cadiangullong Creek. It shows the beginnings of the large slag heap, which is the one main feature of the smelter that survives today (French Collection). 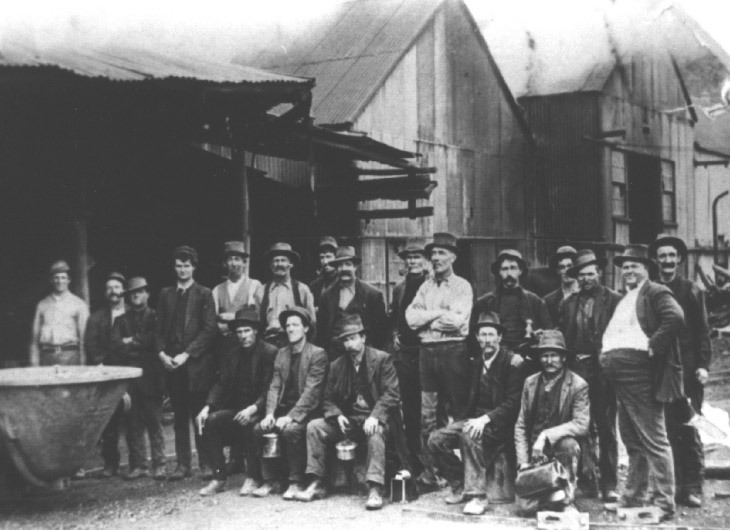 The workforce at the water jacket smelter (Smelter No. 3) (French Collection).